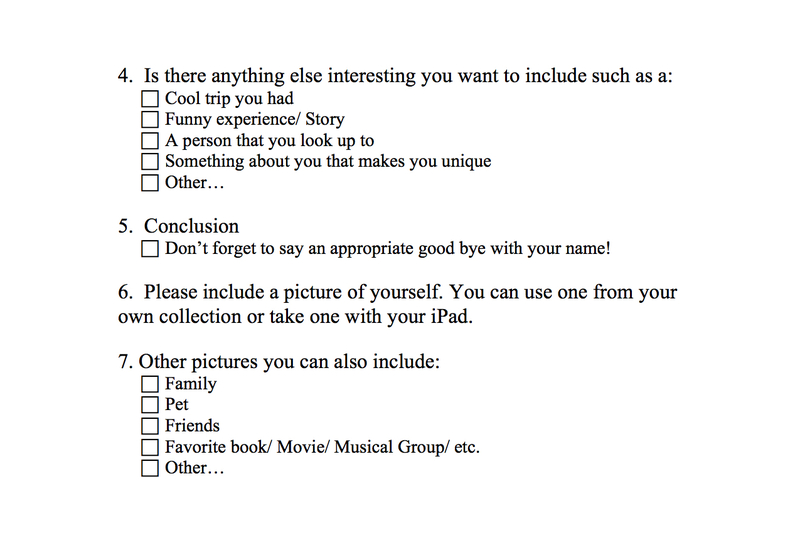 A collection of lessons, worksheets, activities, and sample that were successful to connect the students at Churchill with those at Lokhipur. 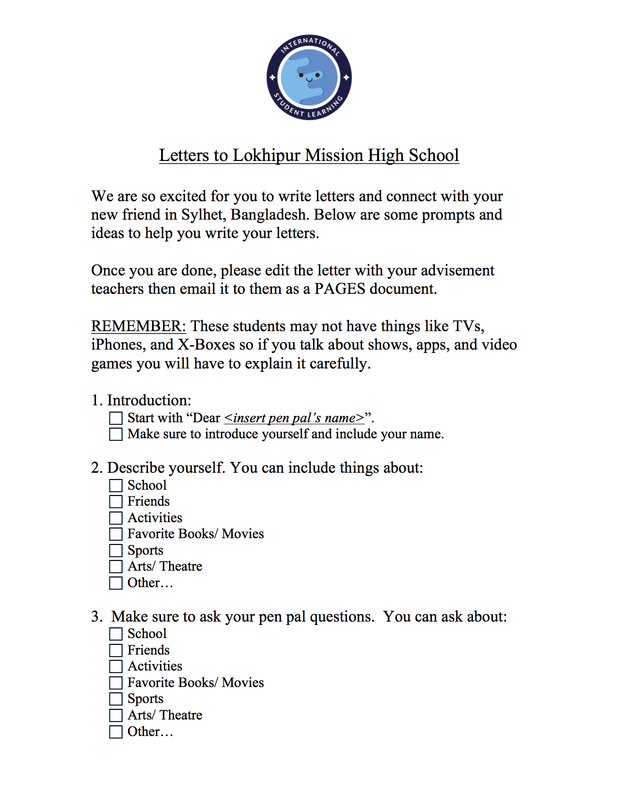 Below is a letter writing Guide used by the Churchill students to compose the first letters to their friends at Lokhipur. 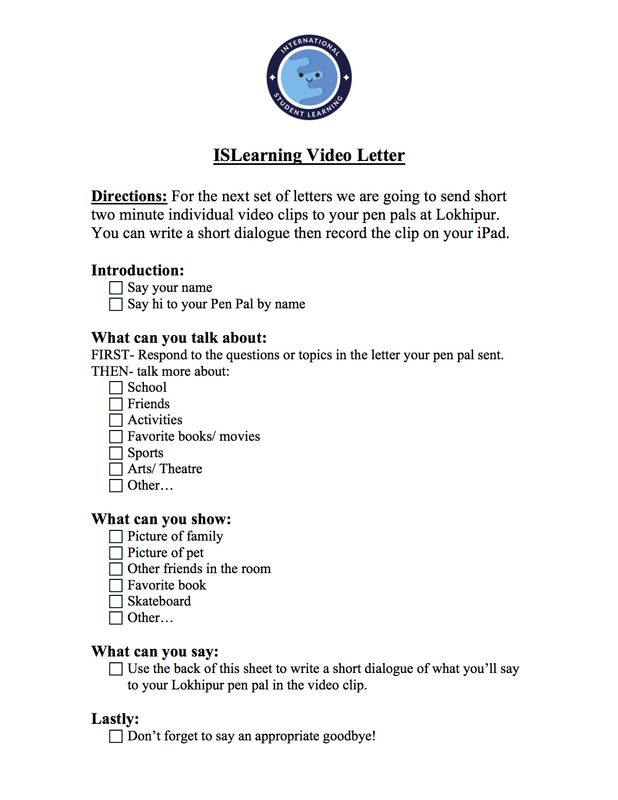 Below is a video letter guide used by the Churchill students to compose short video clips to their friends at Lokhipur.